Passengers was one of those films that more people talked about than actually saw, at least in the United States. Everybody knew about the “big twist,” because it was something that made our stomachs collectively churn. This video presents an idea for how the movie could’ve been fixed. It’s definitely an improvement, but unfortunately it can’t fix Passengers’ far more fundamental flaw. YouTuber Evan Puschak, as Nerdwriter, recently released Passengers, Explained, a 9-minute video detailing how the 2016 film Passengers could’ve been repaired with a few relatively simple changes—namely, the order of events. In the video, Puschak rearranges a few scenes to have the film start with Jennifer Lawrence’s character, Aurora, waking up instead of Chris Pratt’s Jim. That way, the mystery unfolding for Aurora would’ve also been unfolding for the audience, making the traumatic reveal that Jim purposefully woke her up much more impactful. For the record, I agree with this idea. Putting Aurora at the center of the story would’ve given Jim more flexibility as a complex villain, and improved the film’s ethical questions significantly. Unfortunately, it fails to address one key problem: Aurora is a terribly written character. 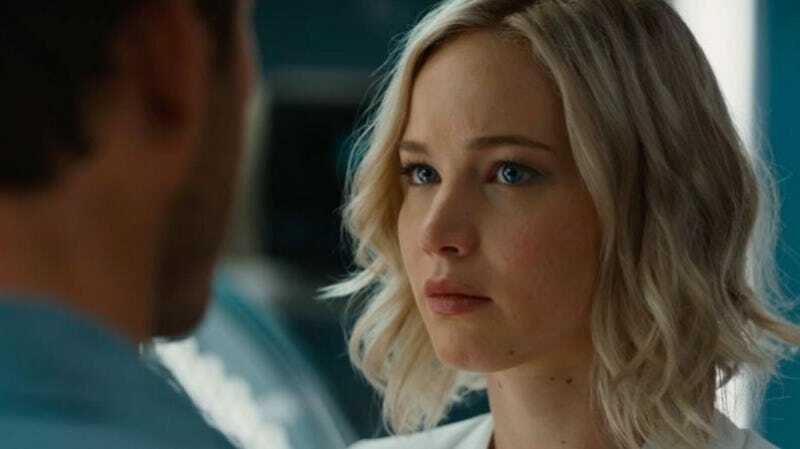 Passengers’ Aurora Lane isn’t a person, she’s an ideal. A male-driven fantasy that never has a hair out of place, or a bad case of PMS. She’s smart, but not too smart— she still defers to him for all major decision-making, especially in moments of crisis. In short, Aurora is exactly who Jim thought she would be. She wasn’t written well enough to be the center of the story, since the film didn’t give her a personality outside of Jim’s selfish desires. She was essentially spawned from his rib. In order for Puschak’s idea to work, Aurora would’ve needed to become a much fuller, better character, and to give her more opportunities to bend or break Jim’s expectations. For example, the film could’ve put them at odds about the privatization of space travel, something Aurora briefly mentions to Jim early on. Then, show Jim being disappointed (or even angry) that she’s not who he thought she would be. Also, Aurora needed way more agency. Most of the film involved her reacting to things that were already happening, and turning to Jim for help, instead of figuring things out on her own. This could’ve been easily fixed with one or two scenes of her working outside of Jim’s sphere. Hell, an earlier version of the script showed Aurora using her skills as a journalist to deduce that Jim was lying to her, instead of simply having a robot tell her. There are plenty of things that could’ve made Passengers better. Moving some scenes around and having Jim die at the end would’ve definitely helped, but it wouldn’t have been enough. Aurora would have needed to become a person before she could ever become the protagonist.